The New Santini Custom Triathlon Range is ready to rock! We have worked hard to give you our best Triathlon Custom Clothing range ever! New products, new lines, premium quality. All hand-made in our factory in Bergamo, Italy, the same way we produce the clothing for our pro teams and athletes. Santini premium custom clothing is handmade in our Bergamo, Italy factory by the same hands that sew the trisuits for athletes like Tim Reed, Giulio Molinari, Kyle Buckingham, Fernando Alarza and almost two hundreds other clubs, shops and teams annually. Our kits are the canvas for you to express yourself on the bike. Bring us your design inspiration, your sponsor’s logos, your color scheme, and our designers will bring your vision to life. No matter how clean or crazy you want your design, we can help you make the perfect team kit. Your next custom kit was built from the feedback we receive from our sponsored professionals. 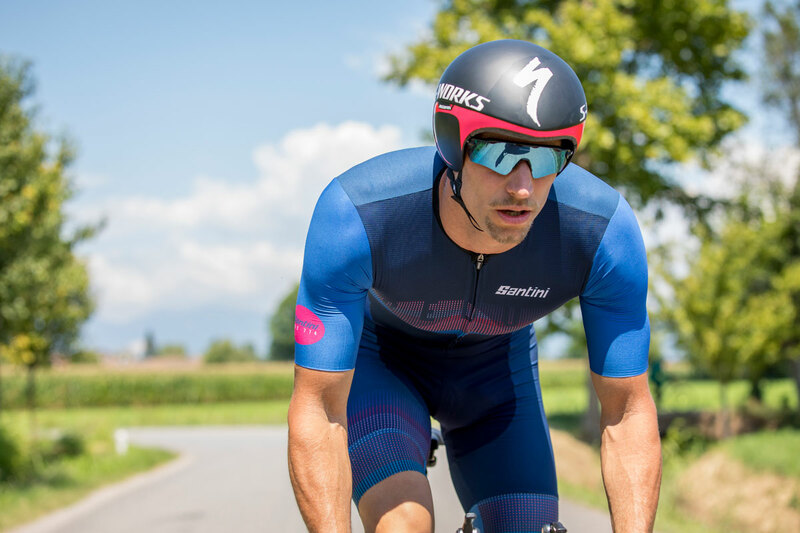 The trisuit Giulio Molinari wore at the Kona is customizable for your team, just like the one Fernando Alarza wore to win the 70.3 in Cascais or the one Kyle Buckingham used winning Iroman South Africa. Outfitting top pros helps us provide you with durable, comfortable, high-performance cycling kits for your team, club, or shop.